When someone reads reviews and testimonials witnessing first-hand a company’s active engagement with its customers the prospect feels that the company as a whole is reliable, responsive to complaints and transparent in its dealings. When customers feel that a brand is trustworthy they’re more likely to make purchases again. Such retention is essential for long-term growth and survival. Merely a 5% increase in customer retention can improve profits by 25 to 100%. Since customer acquisition may cost 10 times as much as retaining a customer it’s better to focus on existing ones. Customers routinely check reviews about products and services prior to pushing the buy button. Leveraging on customer testimonials you can influence the one currency that cannot be bought trust. Before we go on and on about the usefulness of customer testimonials we have to explain the wonders of the core tenet it’s based on trust. The importance of developing trust cannot be understated. A single example of bad customer service is enough to bring revenues tumbling down and destroy the business to shambles. The importance of trust isn’t entirely lost on marketers and hence the demand for SSL certificates which make sites appear trustworthy. There are tons of review sites these days and free blogging platforms that allow customers to voice their opinion. In the immortal words of Amazon’s Jeff Bezos: “If you make a customer unhappy in the physical world, they will tell five people. Online they can tell 5,000.”. Review sites like Yelp, Locanto, Yext, TripAdvisor, and others have made it incredibly easy to post opinions. Customer testimonials are one way at getting a grip on this elusive element. Why should you use customer testimonials for your business? Customers are obviously wary about purchasing from a new site. Customer testimonials help them become confident about the service and site. Here’s why testimonials are able to grab conversions. First off, testimonials are something that potential customers are able to relate to. A study showed that 84% of people trust reviews as much as they trust recommendations from friends. Seeing a testimonial on a site they’re witnessing feedback from someone who’s been in the same boat as they are in right now. Feedback about a site from people who they can relate with increases trust. Customer testimonials provide proof that your company is actually good at what you say you’re good at. Testimonials substantiate your claims on time-saving, money saving and improving lives. Testimonials act as endorsements for products. People want to see the benefits of the product in the real world. You can list only so many features on a product page. Testimonials supplement features by adding real-world advantages spoken of by real people. For every product out, there are at least dozens of competitors. By offering a real review the customer may also chip in how this particular product worked better than others. Thus offering valuable insight to the prospect bent on comparing the two. 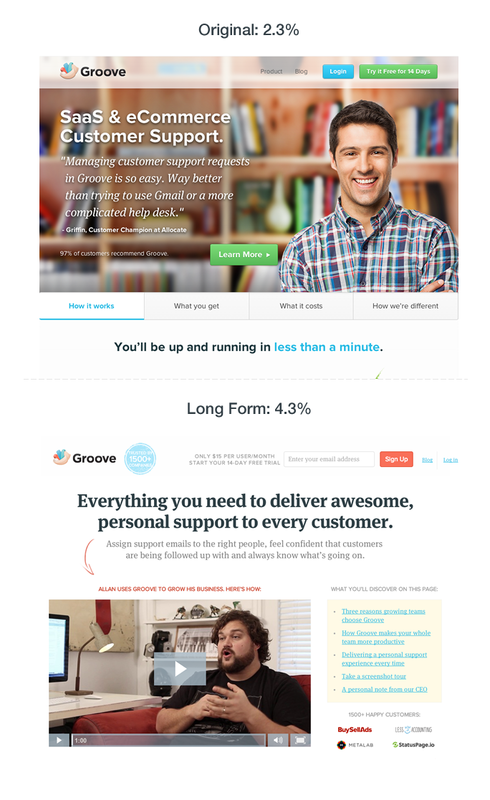 At GrooveHq they use testimonials on homepages, landing pages, and email campaigns and found that using testimonials increased conversions by up to 15%. You should follow the same advice —put testimonials at the front and center where they will grab a lot of eyeballs. A dedicated testimonial page works too. The important thing to remember is to not fake them. Neither delete reviews from customers. You can easily get caught and that will be an instance of burning your fingers through and through. For instance, TripAdvisor was caught with its pants down when it deleted customer reviews reporting unacceptable experience at a few hotels. This quickly went viral doing untold damage to the site’s reputation and consequently business. What are the different kinds of testimonials? Social proof is filled to the brim with authenticity and it has the touch of reallity. Responses from real people regarding what they think of you are easily available courtesy of social media interactions. Simply take a screenshot and use them. Demonstrating that there are people who adore and worship the company establishes good will. Social media channels are bubbling with such activity and there’s no dearth of people whom you can call upon to be your product evangelists. With a dedicated social media manager, fans can easily respond to fans’ social interactions. 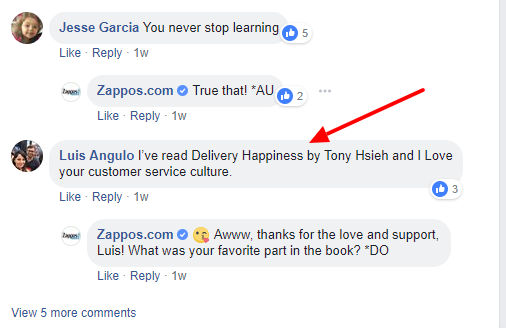 Zappos does this really well. The example below is from Marie Forleo. The images appear authentic and are most likely from past customers. In their quotes, they have described their experience of using the site. Video testimonials are particularly effective since prospects can see past customers in action. For instance, let’s see an example of GrooveHq who changed their landing page explainer video to a testimonial video. They ran the test for 10 days to compare the results. To cut to the chase— their conversion rate, previously 2.3%, was now 4.3%. And afterward edged up to 4.7% which is the present conversion rate. Continuing in the path they installed qualaroo to gain valuable feedback on what’s keeping back customers from converting. ChowNow uses a dedicated video testimonial page. That’s all good and dandy but how to get these testimonials? You could offer a link that redirects to a page where the customer can add the testimonial. Tell us what you think of us. Let us know how our product worked for you are great examples of where it could work. Granted not everybody is going to respond. Perhaps only 2% of your customers will be responsive enough and probably will leave reviews and feedback. But that’s enough to get started. You can also set up an email automation campaign that sends automated emails like clockwork once the customer has used the service. For instance, on Fiverr, after every order, they ask you to review the seller’s gig to see how the customer liked it. To spice things up you can also ask for other tidbits like how they discovered the service, if someone recommended it and if there’s anything definingly good about it. If they do describe those things, it adds a realness to the testimonials. Repeat customers are the lifeblood of any successful business. One of the best ways to keep them coming is sporting lots of customer testimonials. Such a site also helps convert prospects who are on the fence about trying your product or service. George Mathew is the tech wizard at 1dayreview a dedicated blog covering cutting-edge technology news and happenings.